API 6A is an International Standard which specifies requirements and gives recommendations for the performance, dimensional and functional interchangeability, design, materials, testing, inspection, welding, marking, handling, storing, shipment, purchasing, repair and re-manufacture of wellhead and well tree equipment for use in the petroleum and natural gas industries. 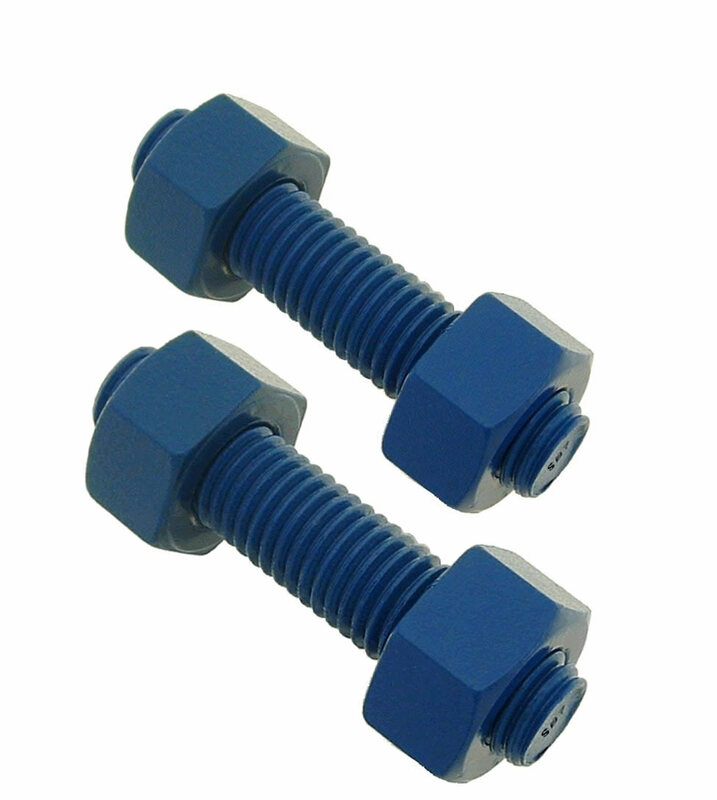 Covering bolts on Wellhead Equipment, Valves and chokes, and loose flanged connectors. 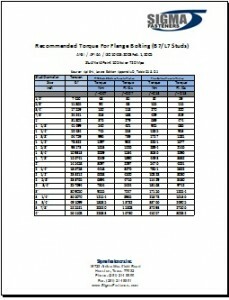 *This chart is for general practice purposes only and should not be in the engineering or design of any products. The most current edition of the API specification may be obtained on the API Standards website to make sure you have the most current edition of API 6A. For most the accurate references in critical situations torque values should be replaced with field measured tension values. Accurate stud tension is difficult to attain using torque, because friction has a significant effect on the torque–tension relationship. Any thread damage (however minor), additional lubrication, or standard deviations within the range can change friction and thereby the expected outcome.